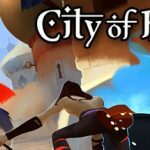 What is City of Brass? 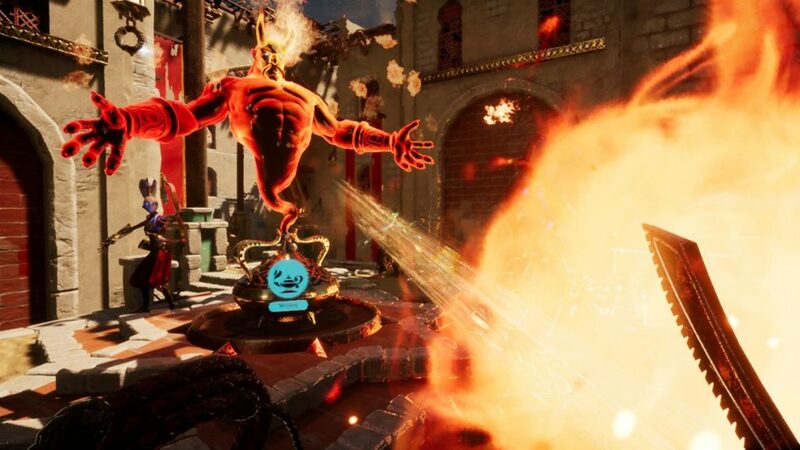 Set in an Arabian nights themed world, City of Brass is a first-person action game created by senior Bioshock developers. Beginning with a whip in one hand and a sword in the other, players are tasked with a couple key objectives in the campaign. Your main goal is to reach the exit of each level and move onto the next. The challenge lies in the hordes of undead and the annoying traps that can stop any run in its tracks. The secondary goal is to collect gold treasures to spend at the genie “stores” that appear throughout your run. These stores sometimes provide a new weapon, armor, health or perk to aid you. The levels are procedurally generated, making each run feel slightly different, from level layout to time of day. City of Brass is priced at $19.99 USD and rated E10 for fantasy violence. I’m a huge fan of the Arabian nights theme and the entire graphical style in City of Brass. The game is Xbox One X enhanced and has impressive visuals whether you are playing in day or night levels. 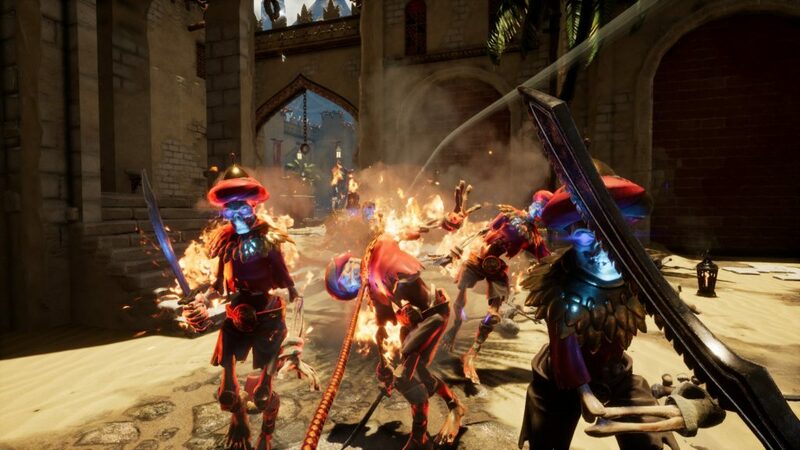 City of Brass has integrated Mixer streaming support, which is a trend more developers are adopting. While streaming the game, your audience can spend their Mixer sparks to either aid or sabotage your run. The audience can drop items, health or choose to spawn enemies or fake you out with noises. It is as crazy as it sounds and a great option for streamers to have if they so choose. The whip is a cool weapon that can yank enemies towards you, detonate traps or even grab gold and other throw-able weapons for you. Perks can be added to the whip allowing it to set enemies on fire or freeze them. The player can also kick enemies into traps, which is incredibly satisfying. Thanks to equip able “Blessings and Burdens”, players can tweak the experience to their preference. Blessings make the game easier by giving: more health, more damage, fewer enemies and cheaper genie items. Burdens vary from increased enemy speed, halve the time limit, double enemy damage and fewer genie spawns, to name a few. You can toggle each one on or off (assuming you have unlocked them), which makes the experience feel tailor-made. Sometimes a genie will attack until you wish on his lantern, why? I have no clue. The entire experience just felt much slower than I expected it to. The game sends mixed messages by carefully stashing gold treasures to grab but penalizing you with instant death if you take too much time. My character always felt like he moved slower than he should, and collecting gold takes even longer because you must manually press a button to pick up each treasure. There was nothing more frustrating than thoroughly collecting all the gold I saw only to fall into a bottomless pit and see my run end. There is no way to keep what you collected and many times I simply gave up rather than try again. XP is earned every time your run ends, but the process of leveling up and earning new items was lengthy for me. City of Brass felt very repetitive, which is surprising for a game with procedurally generating levels. I found myself doing the same things every run: collect gold, kill bad guys, avoid traps and eventually die. Starting your run at night makes things even more difficult and frustrating. Enemies and traps are harder to see and while they looked beautiful, I was always longing for daylight. Long story short, I rarely felt like being thorough was time well spent in City of Brass. Aren’t you the same guys from screenshot_1? City of Brass has 16 achievements for 1000 gamerscore. Eight of them are tied to unlocking specific burdens, three are tied to using portals, one for dying and a few for completing the game a specific way. Most gamers will find Glutton for Punishment to be the most difficult achievement, as it requires you to beat the game with all burdens turned on, blessings turned off and no use of portals. I can’t help but feel disappointed in City of Brass. When I was offered this review from the wonderful folks at StridePR, I thought I was getting a game in the same vein as Immortal Redneck. City of Brass lacks the speed, variety and fun that makes that game so enjoyable. The graphics are in fact beautiful and the Mixer integration is a positive as well. I’ve seen a variety of opinions on the game from mediocre to addictive, so my advice is to do your homework before purchasing. 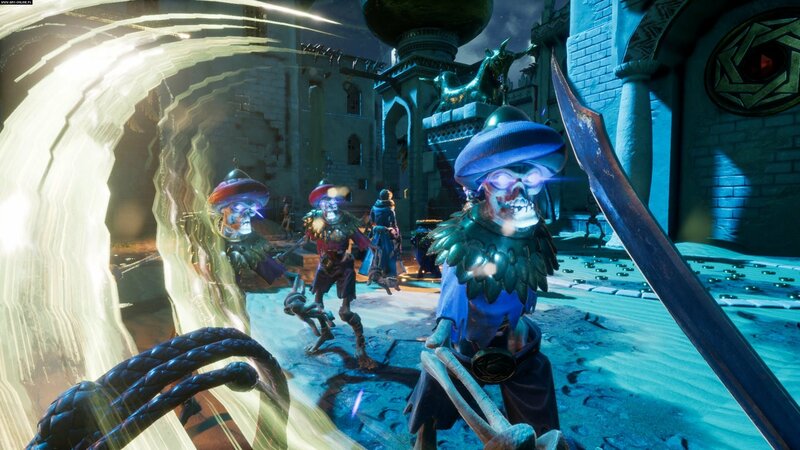 If rogue-like games are your thing or you’re a streamer on Mixer, then City of Brass might be worth buying. Sadly for this reviewer, City of Brass feels more like fool’s gold.